For many of us sending email and text messages has replaced the humble letter but there are still occasions that call for paper and stamps. Having great stationery is a real treat and for a paper fanatic such as myself, being able to personalise my stationery makes the treat even more special! Note Couture offer a stationery service that is just about beyond belief. 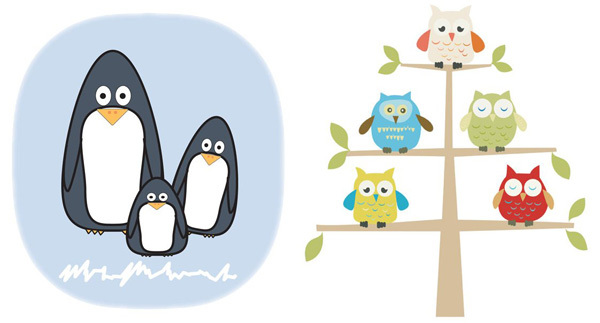 You can choose from over five hundred illustrations including my favourites What a Hoot and Penguin Parade (pictured below) in a number of different formats from to-do lists through to note cards and mouse-pad scribble pads. 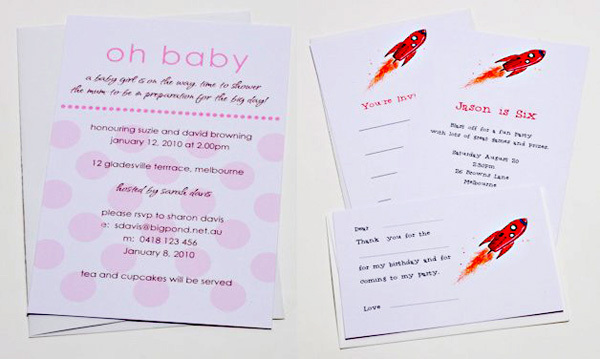 The Maternity and Children collections are fantastic for all party invites, baby shower needs, thank you cards – basically all your stationery wants and needs! Just about everything can be personalised with your own name or message at the printing stage or you can opt for a ‘fill in’ format where you do exactly that, just fill in the blanks as you go! The range is plentiful and there’s something to suit everyone from children through to adults. I love the kids’ Thank You Cards (priced from $14) which are easy to fill in after a birthday and also the cute and quirky Absence Notes ($6), perfect for those with school-aged children. To see the full range head on over to Note Couture. Delivery is available all over Australia.